For the last three years, the OSI Board has been aware of a need for change. It’s mission needs a renewed expression. We decided the best way to achieve this was to switch from a Board-only organization focused largely on licensing to a member-led organization with an elected Board of facilitators. We discovered this was hard to invent, and last year eventually settled on the approach of incremental transformation. The first step of that transformation is now real. OSI now has the core of an Affiliate membership, with delegates from as many open source communities as are willing to participate. The Board has invited an initial set of Affiliates to join and collectively devise the new OSI. Provide a venue for that united community to speak with a unified voice when issues arise that affect us all, such as the ACTA treaty or the CPTN patent issue last year. Promote the understanding of open source through shared academic and advocacy activities. OSI welcomes twelve non-profit communities as the initial Affiliates for OSI (see right). They will work with the Board to devise the governance and structures of the new OSI. 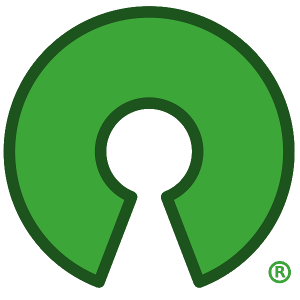 OSI invites all non-profit communities committed to increasing software freedom to become an OSI Affiliate. Contact the Board (osi [at] opensource.org) to explore how to join. In the future, we hope to broaden the criteria for Affiliates to allow non-incorporated community entities to affiliate too. We will be introducing a way for you to join OSI personally. Please take our survey so we know what you want OSI membership to include. We are hosting a new project to create a “Body of Knowledge” to support academic curriculum. You could join this new FLOSSBOK initiative and contribute to a central resource for educators globally. These are just the first steps; we’ve still a long way to go. Now we have a body of Affiliates on board, I hope both that they will accelerate the Board’s progress towards change and that they will self-organise as obvious opportunities are identified. I hope we can use an "open source" approach to create a new OSI for the new decade. The FLOSSBOK effort to define a Body of Knowledge is not limited to academic institutions. There are many places where this material could be valuable, particularly for businesses involved with training about open source concepts or the details of specific open source projects. The teaching and evaluation approaches may be different in an academic setting than in a commercial environment, but the goal remains the same: to identify the topics that one should learn to become knowledgeable about free and open source software.